Romeo Dwarf Cherry | Henry Field's Seed & Nursery Co. The Best for Making Juice! 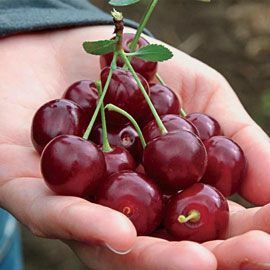 Fall in love with our newest dwarf cherry tree and its superior-flavored, sweet-tart fruit. Growing just 6-1/2ft. tall, this dwarf produces up to 30 lbs. of full-sized crimson fruit that has small pits and high flesh-to-pit ratios. You'll love eating them fresh, but save some for canning, baking, drying, wine, and juice. Developed at the University of Saskatchewan, it's extremely cold hardy. Because of its dwarf size, it'll fit into many areas. 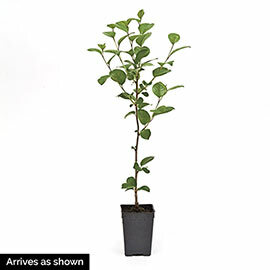 Its glossy green foliage makes it an attractive ornamental. Self-pollinating. Zones 2-7. Potted.